From dating to getting married to having a baby, the public has seen all of the royal details of Prince William and Kate’s relationship and still can’t get enough. Catherine, Duchess of Cambridge, met Prince William, Duke of Cambridge, in 2001 while attending the University of St. Andrews. In 2011, the world watched the couple have a royal wedding in Westminster Abbey. They now have a baby boy and another child on the way. 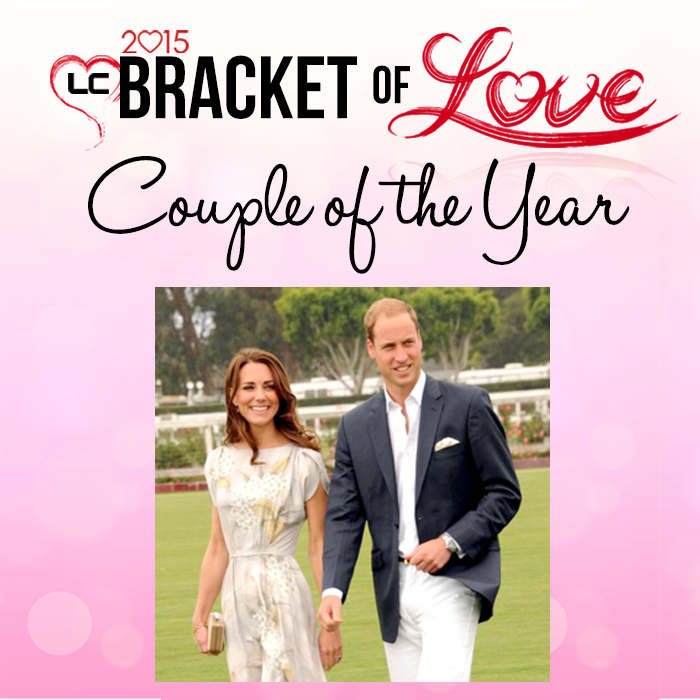 Prince William and Kate received the royal treatment and won Couple of the Year! Congratulations! Thank you for your participation and we hope you have a wonderful Valentine’s Day!